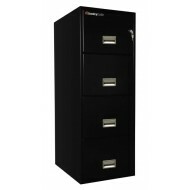 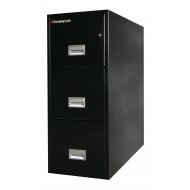 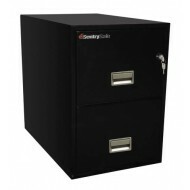 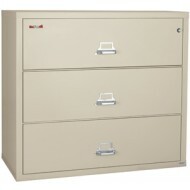 The FIre King 2S3822-CSCML three drawer later file is 38" wide and will fit in many places. 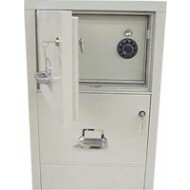 This signature series safe is very high quality safe with features such as UL 1 hour fire rating. 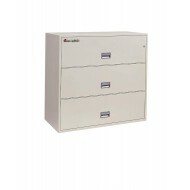 This lateral file cabinet carries three other UL fire ratings: resistance to explosion hazard, impact rating to test whether the door stays closed after a 30 ft drop, and finally water resistance rating. 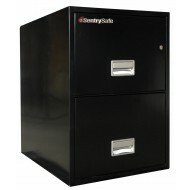 The uniqueness of the Signature series are the 9 standard colors offered. 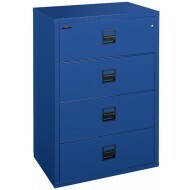 Also you can order a color to match your office decor paint. 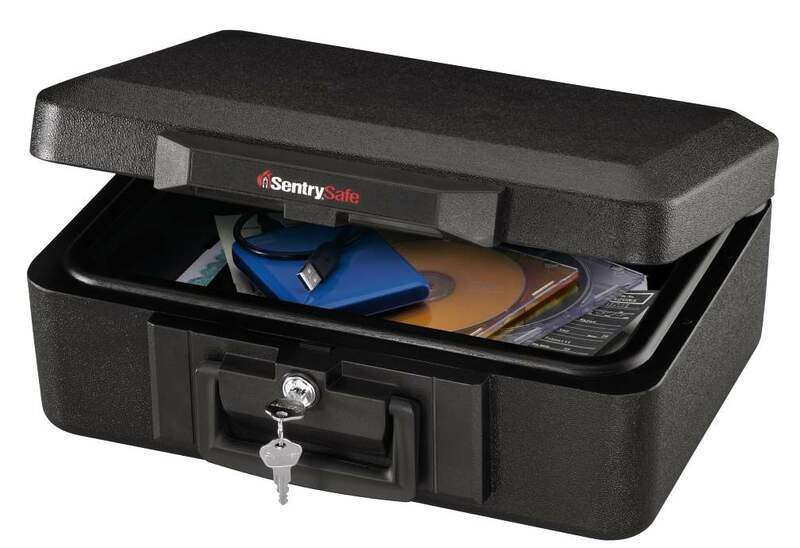 Please keep in mind that each Signature safe is a custom order and will take some time to ship. 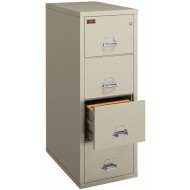 Pick Parchment, Black or Platinum colors for quickest shipment.